WavePad is a full-featured professional audio and music editor for Windows and Mac. It lets you record and edit music, voice and other audio recordings. When editing audio files, you can cut, copy and paste parts of recordings, and then add effects like echo, amplification and noise reduction. 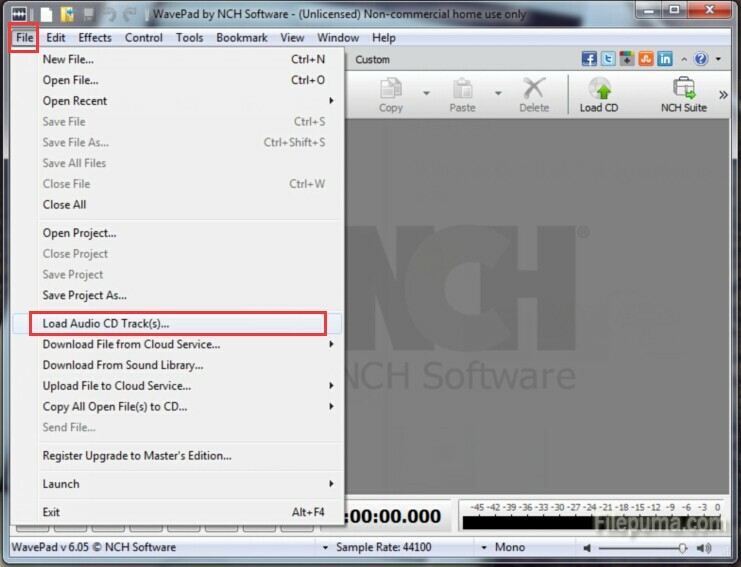 Here is the instruction to tell you how to save audio files with WavePad. 1. Run WavePad by double clicking its icon. 2. Click the “File” tab and then select “Load Audio Clip or CD”. Browse to open the audio file. 3. Click “File” tab, and then select “Save Project As”, save the audio file to the format you want. 4. After you save the audio files, play it with your media player to assure it saved properly.